Drum scanners produce far superior scans to flatbed scanners, both in resolution and in the ability to detect small changes in color and brightness. Because drum scanners have the advantage of a much higher resolution, their use is generally recommended when a scanned image is going to be enlarged by a significant amount, reproduction of fine art or anytime you just need a really good scan. 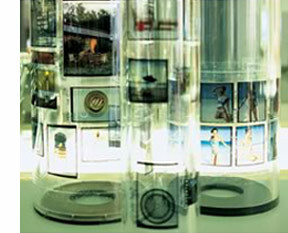 We can scan from transparencies, photos, prints to name a few. Please call us at 303.534.4433 to discuss your jobs special needs. Click here to find out about our Giclee Printing. Your Discount Source for quality Drum Scans, located in Denver, CO and on the Web.